Hello. Hope everyone's Wednesday is getting off to a good start. 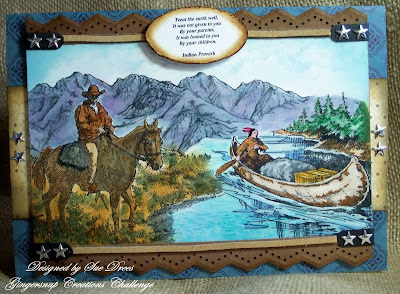 It's my third week joining the gals at Gingersnap Creations for their month long celebration of the Wild West! This week's challenge is scene stamping. I had done a lot of scene stamping a few years back when I met Kevin, owner of Stampscapes and took some classes from him at the Adventures in Stamping Convention in Akron, Ohio. It had been awhile, so I dusted off those stampscapes stamps and some additional element stamps I wanted to use and got to work. I must tell you, a couple of my early attempts went in the waste basket, but finally got back into the feel for it. old Embossing Arts stamp. 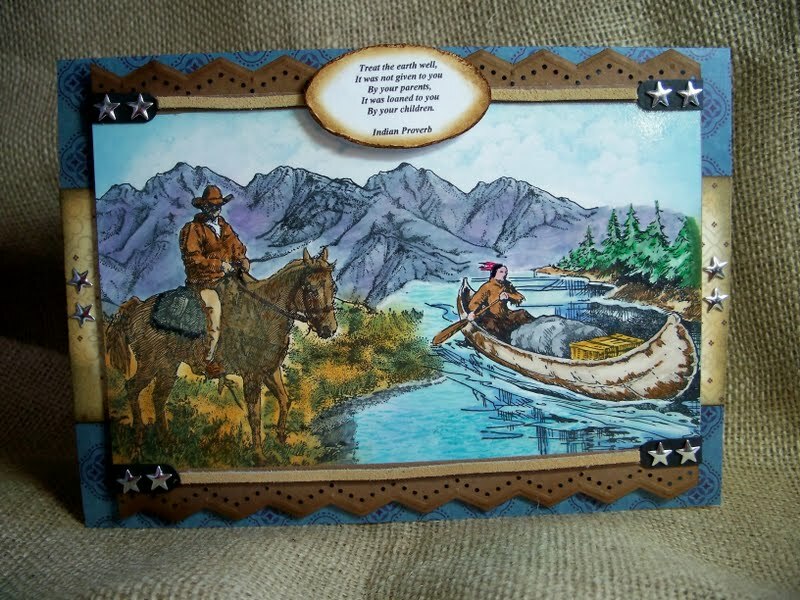 The rest of the scene was created using Stampscapes. I use sponges and small stiff stippling brushes. Papers are DCWV. Border stamp is Martha on Kraft paper. Silver stars are from Michael's. Had to bring in the Native Americans in this Wild West theme this month. 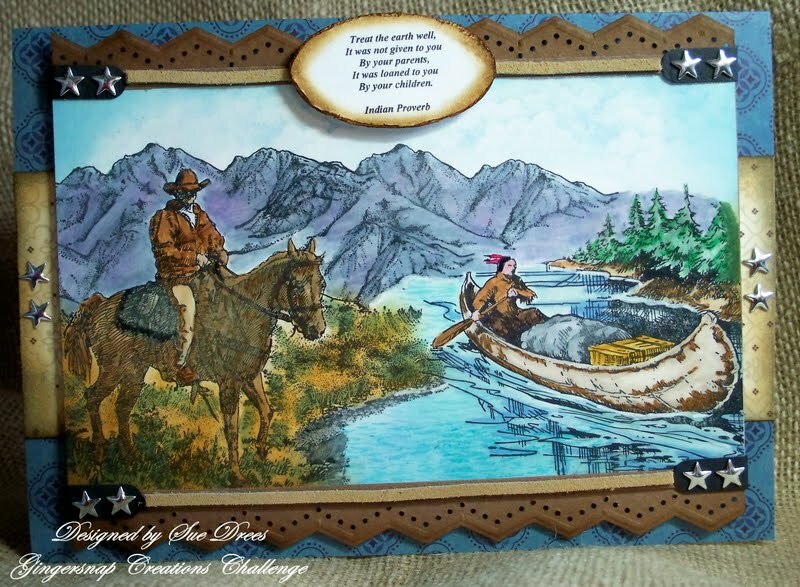 Hope you will try a little scene and join us at the Gingersnap scene stamping challenge. If you need a little inspiration, pony on over to the site and check out the awesome examples by the design team and other visiting artists.........you won't be disappointed, a lot of talent over there! So wonderful Sue,I love the colours. Love those stampscape stamps, but I must say this blows my socks off! A terrific scene, the colouring awesome. Pony on over, hehehehe, I just might!!! This is glorious Sue, the composure is perfect, the colouring a dream and the details you've added are just right to compliment the beautiful scene you've stamped together, well done!!! BTW, the Falls and the blog are looking fabulous!!! Just like a photo. Your scene stamping is awesome. You even captured perspective. I love it. I love the beautiful scene that you have created! You are an artist!